We sell a range of wild bird feeders for peanuts and seeds, that are suitable for free flowing seed mixtures such as; Wild Bird Food, Sunflower Hearts, Black Sunflower Seeds, Robin Mix & Hemp Seed. 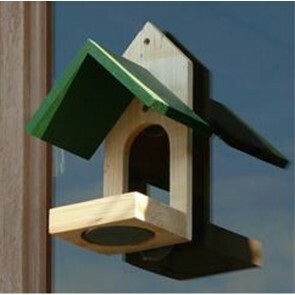 All our wild bird feeders are easy to maintain, easy to fill, hang & use! Please ensure that you hang your wild bird seed feeders away from locations where predators may be able to hide. If you want to attract a wide variety of birds to your garden, it is important to offer a good selection of wild bird food, but it is not necessary to spend lots of money on specialist seed mixes that you may not need! If you have not feed the wild birds that visit your garden before, we would suggest you start with Black Sunflower Seed & Peanuts which can be used in feeders, on bird tables or on the ground, in a variety of places in your garden, including a few peaceful areas for timid wild birds. By placing these foods around your garden you should attract a wide variety of wild bird species, commonly found in the majority of gardens in the UK. As you gain confidence you can add some specialist seed varieties, such as Niger Seed & Hemp or even Mealworms to increase and broaden your gardens appeal to a larger selection of species, including Woodpeckers, Buntings & Nuthatches. 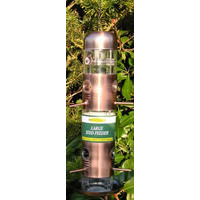 Wild Bird Seed Feeders: 5 stars out of 5 based on 1 user reviews.